I just got back from a whirlwind trip to Georgia to finish off a room I have never set foot in (until 2 days ago). 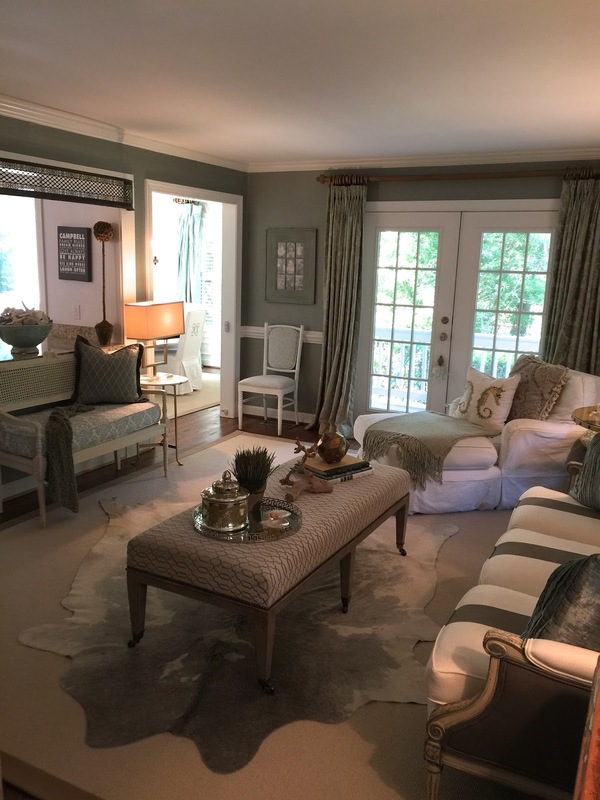 The client asked me to help her create a feminine sitting room off of her bedroom in her gorgeous (my words) French home outside of Atlanta. 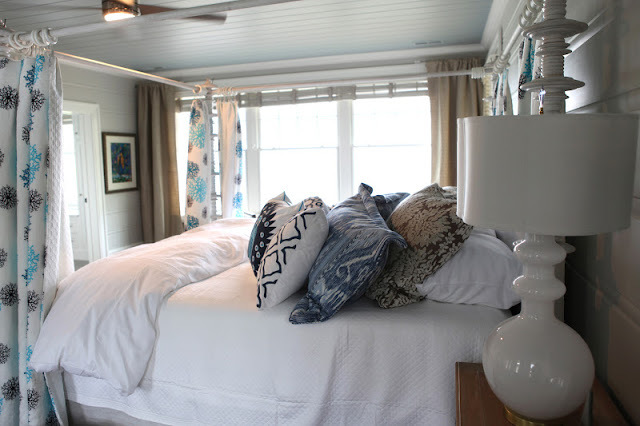 The room was almost empty and it needed to be transformed into a retreat. 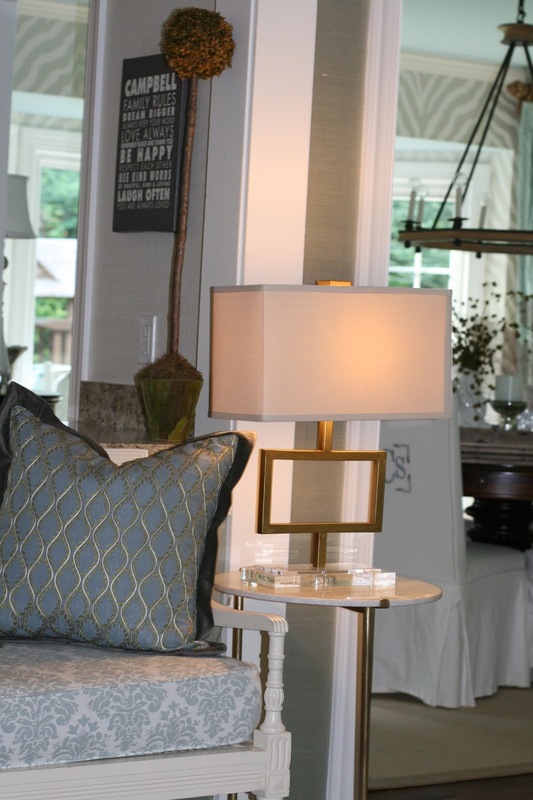 After some long-distance collaboration, I had all of the large pieces, drapes and lighting shipped down to the client. 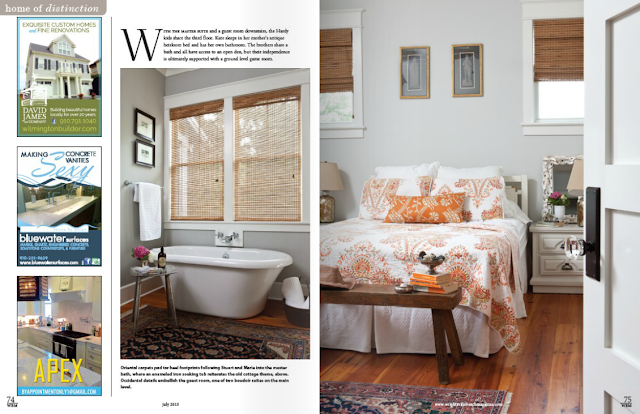 I gave her specific instructions on where to place everything and via email/photos we were able to create a haven. When it came time to accessorize, I started gathering up pieces... everything from frames, books, boxes, art and pretty things to complete the space. I offered to ship them down and help her navigate placing the finishing touches. She wasn't quite sure she could do it and it needed "the Hooper touch"....so, what's a girl (with two out of three kids at camp) to do? I packed up the truck and moved to Beverly headed South. Oh, and I tried not to act shocked that it looked exactly like it did in my head. Whew. 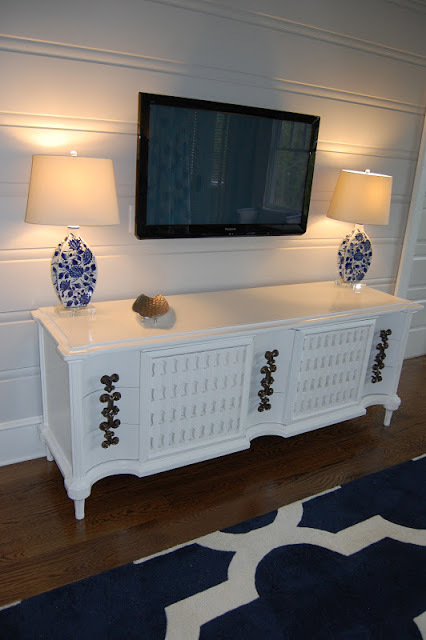 ...and pretty details to complete this serene space. The color palette was texture, texture, texture -- with hints of gray, smokey blues, charcoal and gold. 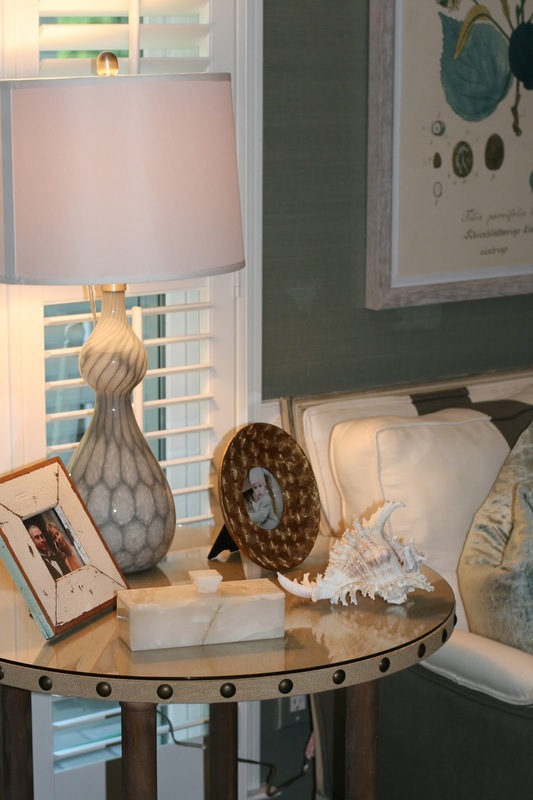 These mirrored Bungalow 5 tables are quite glamorous with marble lamps. I scored this vintage 60's brass screen at a shop in High Point and the bone table is a perfect perch for a martini. I could just fall out. 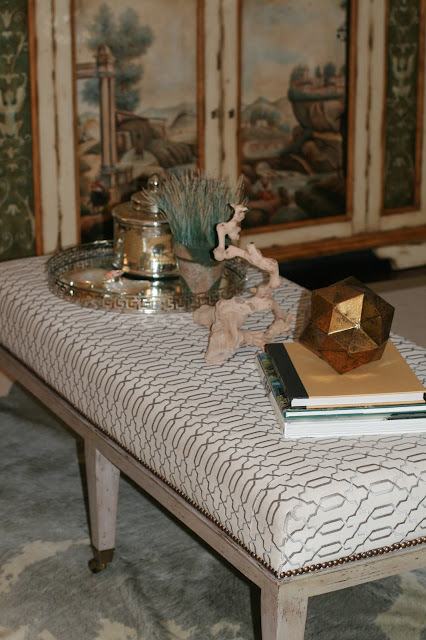 I love the shape of this shagreen coffee table atop the washed gray Oushak Oriental. 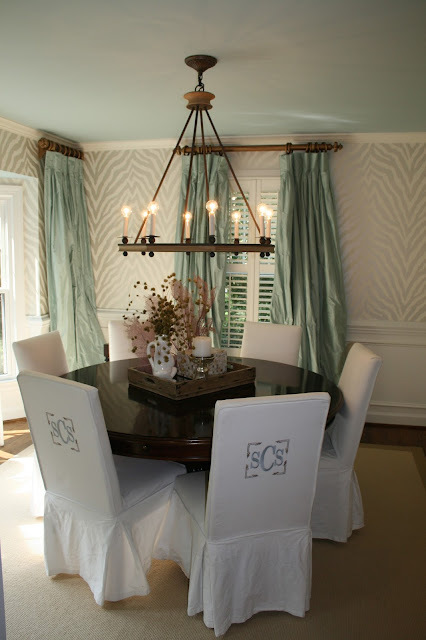 I added wall sculptures for some texture, silk striped drapes and "pops" of smokey teal for some color. 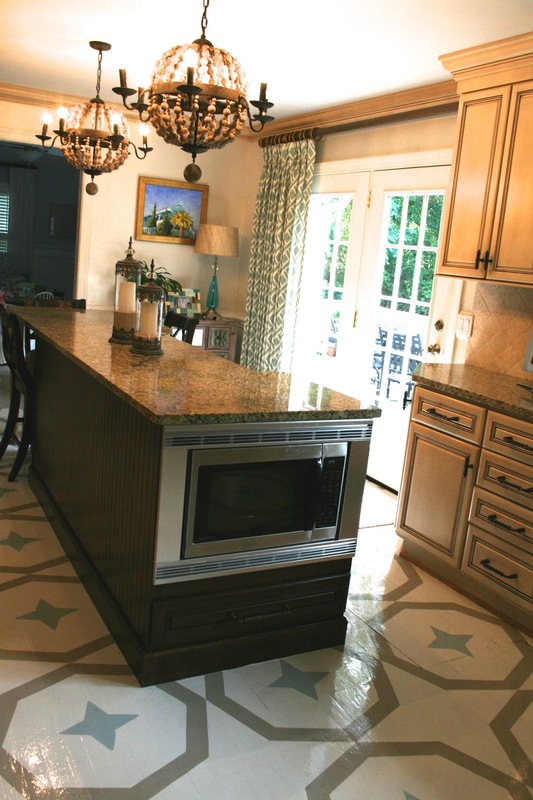 The client was thrilled and I was quite sad to leave this beautiful home, hostess and space. 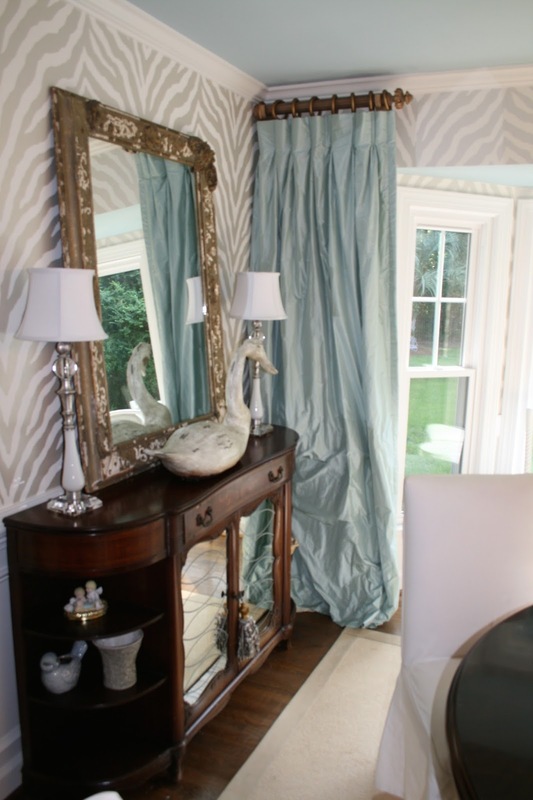 A client wanted to update her French Country home by adding some new fabrics, rugs, details and some distinct pieces. I happily obliged. 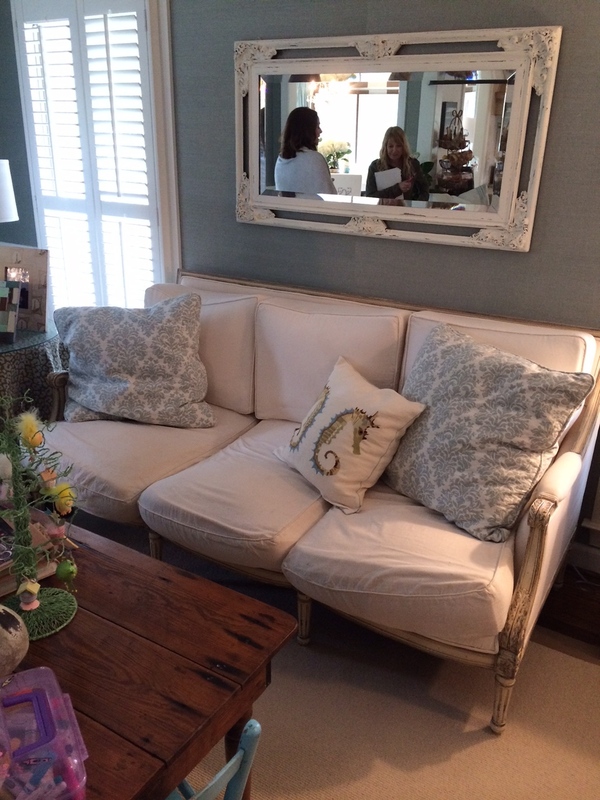 Her French sofa was very pretty, but the fabric was worn and it needed a facelift. I had it reupholstered in an ivory linen and added a gray linen stripe to give it a more modern look. The cowhide, new lamps, pillows and botanicals breathed new life into the space. By mixing in her current accessories with new pieces, I added more layers, texture and pretty shiny things (always a must). Check out the BEFORE (left). Ann knew "simple" is something I don't do well, but she certainly rose to the challenge. 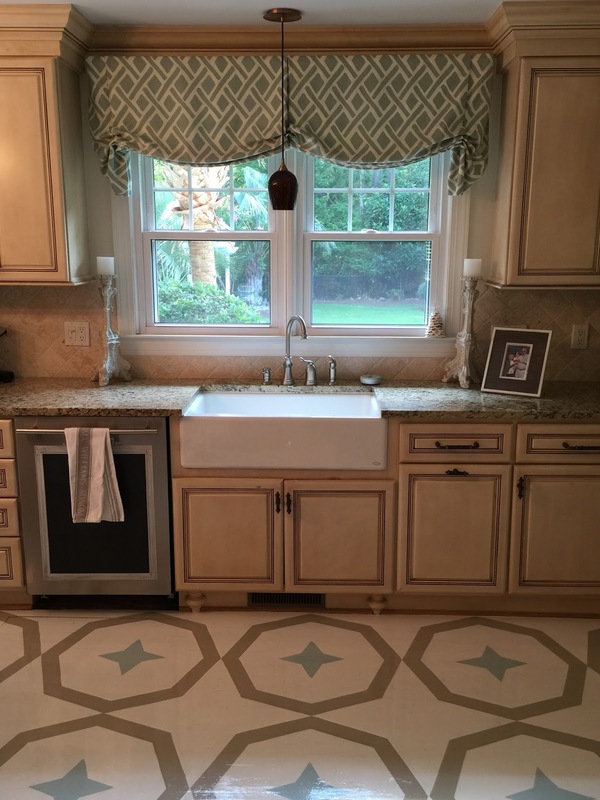 Check out this gorgeous floor! The hardwood floors were worn and tired. The lighting was mismatched created a strange flow to the kitchen. I changed out the lighting and placement by adding wood bead pendants. 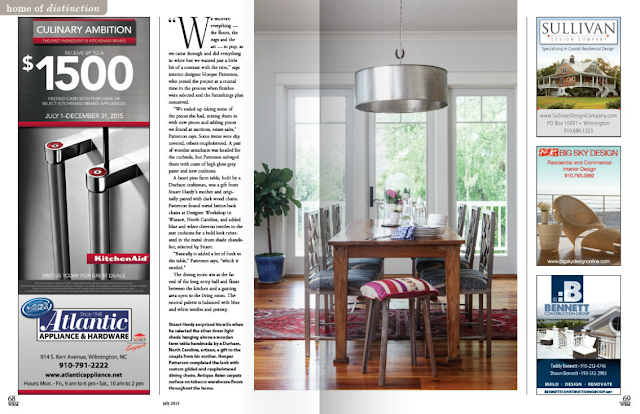 Of course, once the kitchen got a new look... it was on to the dining room. I kept her dining table and chairs and added wallpaper, new lighting and a painted ceiling. 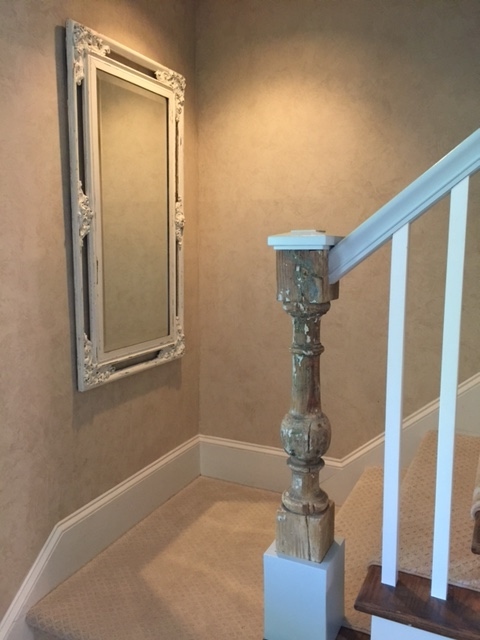 And finally, her entry got a new look from Soundside Carpentry with this antique newel post and custom pickets. The new carpet is the icing on the cake for this completed project. Before, it was a little too rustic for the space. It now looks clean and fresh with a touch of the "old" to tie in with the rest of the house. 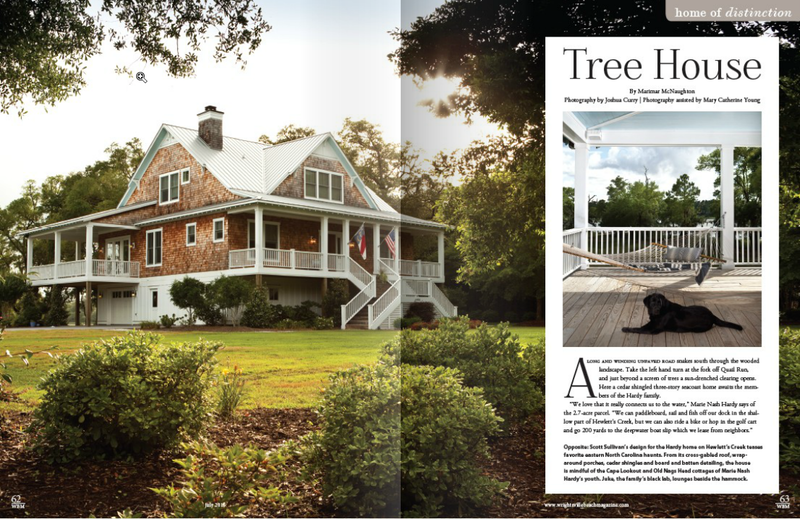 Stay tuned for more from this home, coming up soon! Read: Why are you crying? Read: Are you crying because your babies are growing up so fast? Read: Are you crying because you are worried about them getting sick or their safety? Me: Cue slight panic attack/nervous breakdown. Read: Two weeks sure is a long time. 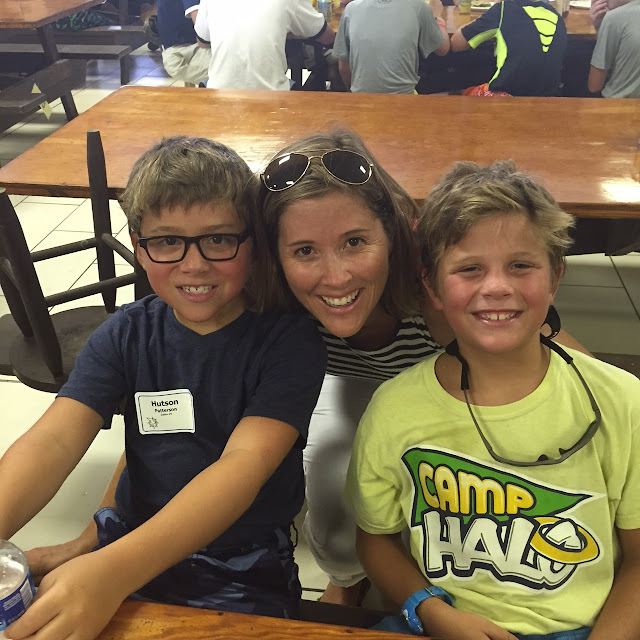 Yep, the twins are at Camp Seagull for the duration for some fun in the sun with old friends. Teddy went along too and expected to stay. When I asked them if we should stay a little while and maybe walk down to see the boats, they said: You should just go ahead and go. As I was getting into the car, Hutson ran out and hugged me (when he was sure no one was watching) and we drove away. Thankful for this sweet camp and trying to be thankful and productive for my "break". Which may be one of the psychotic ones. We told you we were geniuses (sp?) 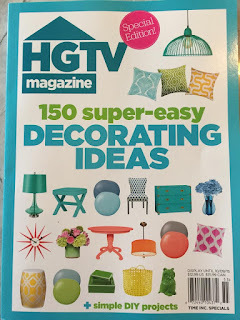 … In fact we are so brilliant that HGTV magazine decided to use a space we have done in one of their special edition magazines. 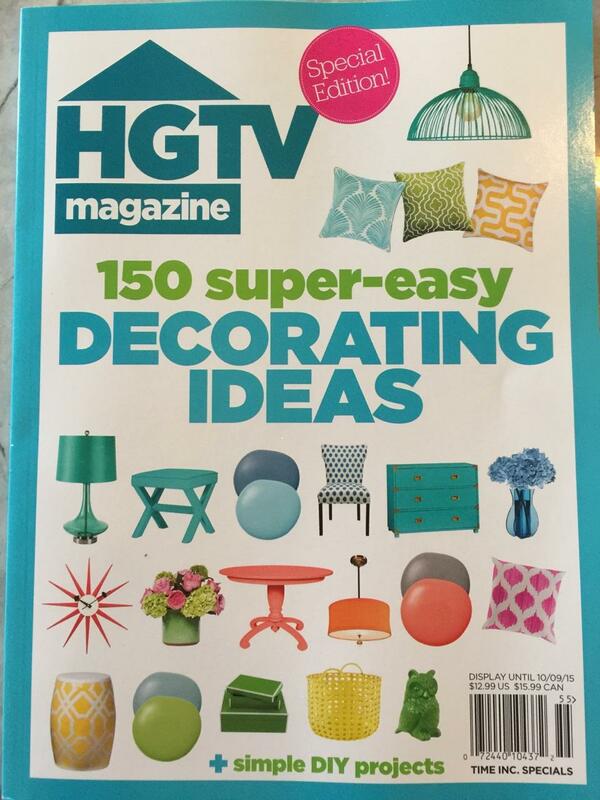 We are among the top 150 designers that have a "super easy decorating idea". We are also in the top 150 most modest designers EVER!!! But seriously we were thrilled to see one of our rooms recognized. Remember the house we did for a client in Cashiers, N.C. ? The one we finished and then cried our eyeballs out over b/c we didn't get to live there? See here. 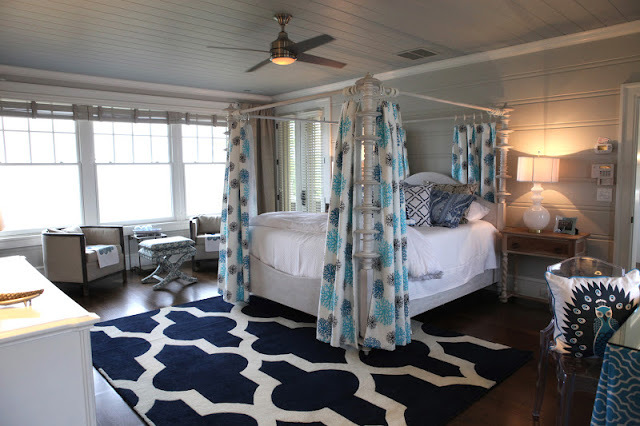 Our "easy idea" was adding a canopy and fabric to the already gorgeous turned style poster bed. We wanted to take it up a notch and the punchy fabric panels did just that. We thought the milky white vases were destined to be lamps so we took them to our local lighting shop and voila! Who doesn't love a good auction? All this beauty needed was a fresh coat of lacquer and the perfect setting to come back to life. 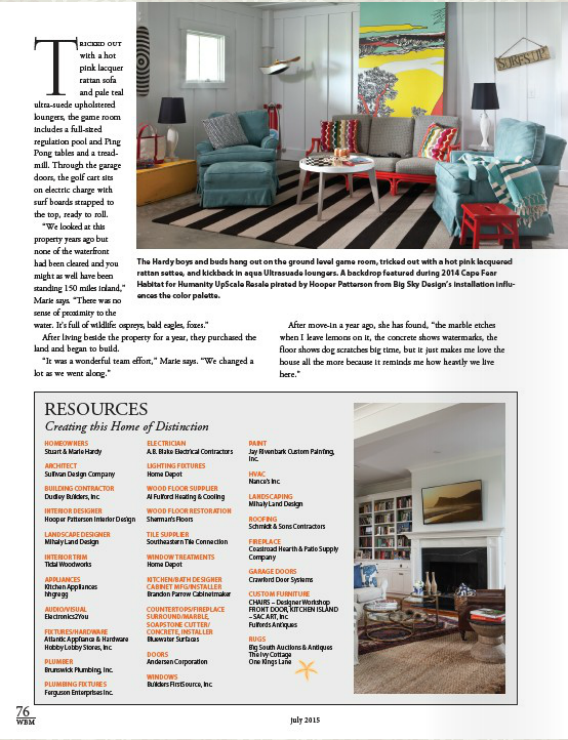 This was a fun project….A fave to date and full of more easy ideas. Check out the magazine for what the other 149 designers came up with as well! 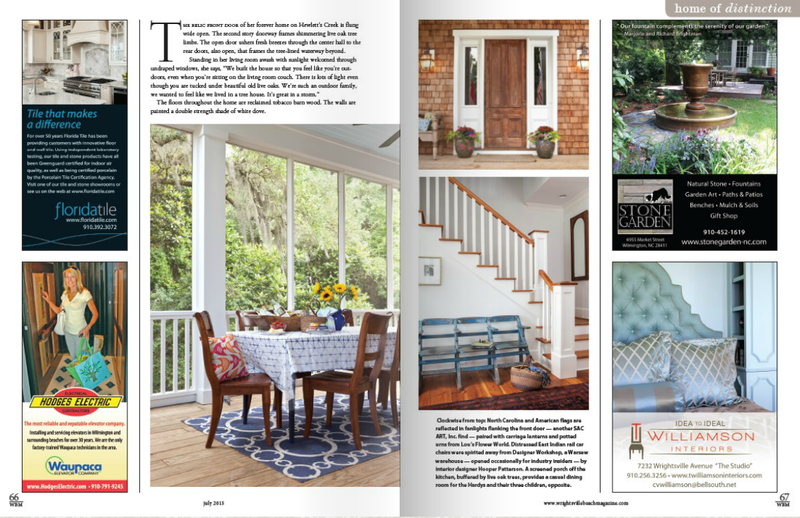 Wrighstville Beach Magazine Features the Hardy's Home! Wrightsville Beach Magazine is one of my favorite local publications. This recent HP Interior Design project for the Hardy family is featured in the July issue as their Home of Distinction. We had such a great time on this shoot and I love the results! 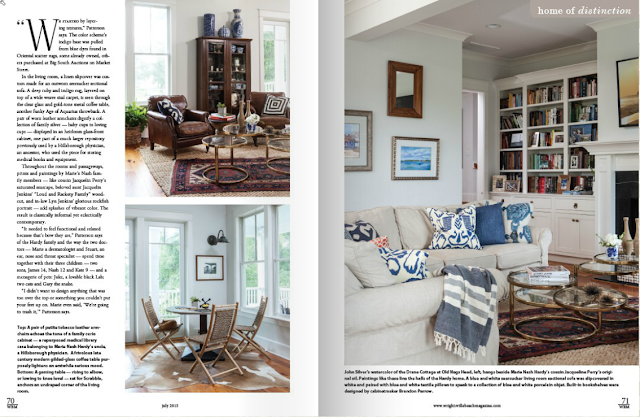 Photographer Joshua Currey captured their beautiful home and their relaxed coastal lifestyle. The article, written by Marimar McNaughton details the project from start to finish and how each room evolved as we collected each and every piece to make this home look like it had been furnished over decades. 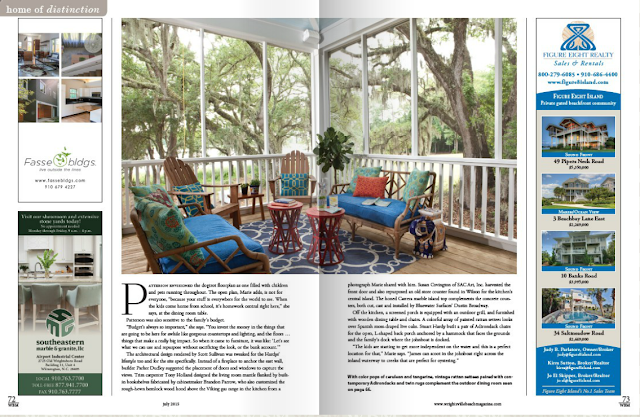 It has a feeling of history and I'm thrilled that Wrightsville Beach magazine is sharing it with you this month. Grab a copy today! On stands now... Happy Fourth of July Weekend! This never gets old. 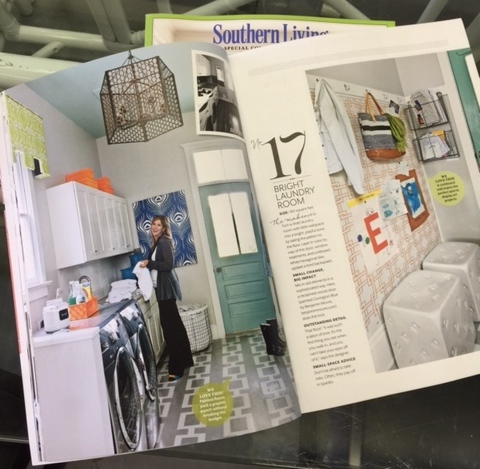 A few years back, I did a shoot in my laundry room for Southern Living (flashback here). Every now and then, they republish it in their special edition magazines. 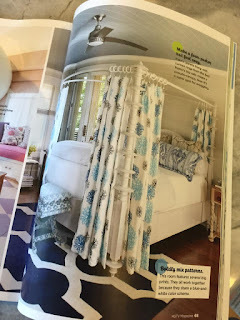 The other night, I was standing in the checkout line at Food Lion and was flipping through the Summer Small Space Ideas (165 Ways to Make the Most of Every Inch) and BAM! 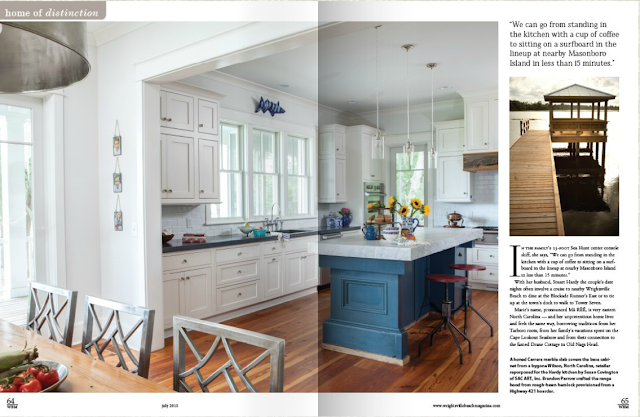 The first time, they showed the laundry room, it was a one page article in their monthly issue. This time, they included the entry which happens to feature my friend Jen Griffin's Baja bag (check out her amazing line of bags and leather goods here). I also love that it shows off the kids' artwork. Many of you may remember the "Letter People" from First Presbyterian Preschool. Cue "Mr. E"; Precious.